Sunday, July 17, 2011 2:15 PM Joe No comments. Share your thoughts! Seeing as how YouTube is a prime place to gather traffic and advertise... 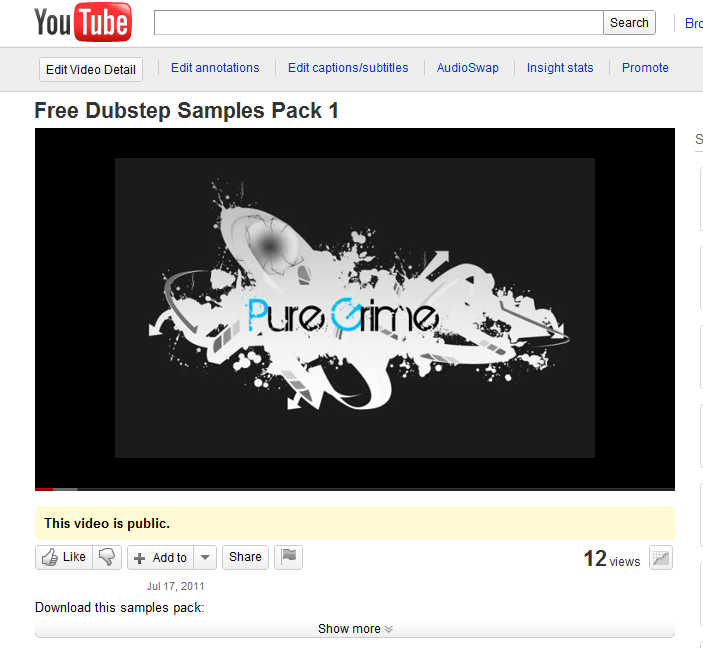 Lets see how successful offering free music pack downloads will be.